HVAC systems for hotel projects must be quiet, reliable, and unobtrusive. Norman S. Wright strives to support all architectural designs with a variety of customized products that support unique and innovative aesthetics: water-source heat pumps, fan coil units, and air handling units. 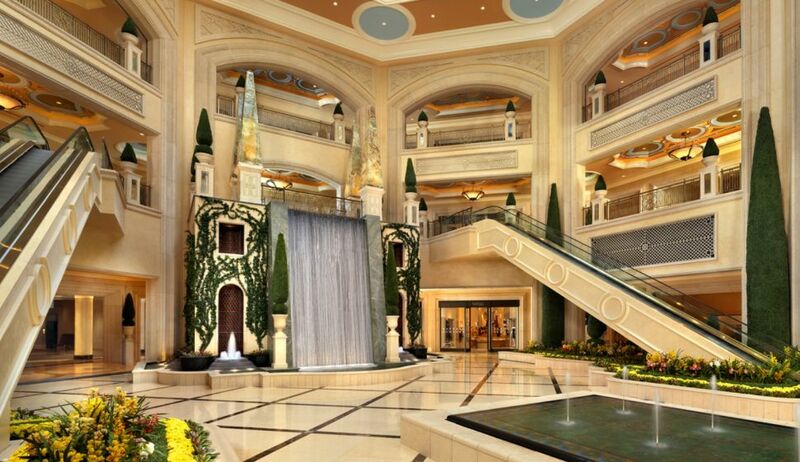 Raising the bar in Las Vegas luxury, the Palazzo design required a state-of-the-art mechanical infrastructure. Norman S. Wright assisted with the engineering of customized HVAC equipment and supplied a variety of specialized air distribution components to support the building’s complex mechanical system. The design team faced major energy-efficiency and equipment placement issues because of the project’s extensive range of complex architectural features and interior amenities. The final system also had to meet the owner’s directive of no visual presence or objectionable sound levels from the HVAC equipment in the hotel and casino. Norman S. Wright provided remotely controlled linear air diffusers that blended into the lines of the architecture and enhanced design details like the casino’s curved glass ceilings. Nearly impossible to see, the diffusers handle thousands of cubic feet of air per minute to control temperature and ventilation. To hide the massive mechanical equipment, Norman S. Wright staff collaborated with the structural and consulting engineers to help with the design of a curved louvered wall (315’ length by 62’ height) that restricted the line-of-sight views while providing proper ventilation—a cost-saving solution that eliminated the need for additional architectural products. Due to the limited lot size, the architect designed an underground parking garage — the largest in Las Vegas — to handle 4,000 cars. Solving another critical project requirement, Norman S. Wright sales engineers furnished multiple ventilation fans with sound attenuators and panels to remove the extremely high levels of exhaust and to minimize equipment noise. Opened in January 2008, the Palazzo is one of the most prestigious projects on the Las Vegas strip.